Only have a short period of time to explore Florence? Want to get the most out of your trip? 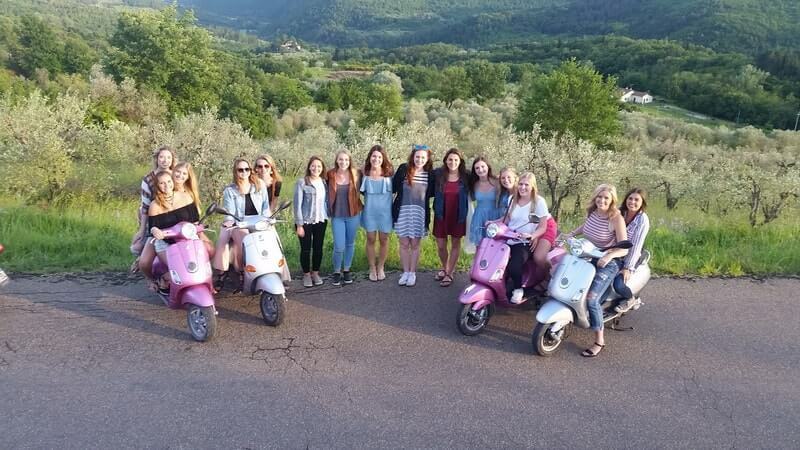 Join Tuscany Cycle for our Half-Day Vespa Tour! That way, you can ride like a local in Chianti, but still be back in Florence by the afternoon. 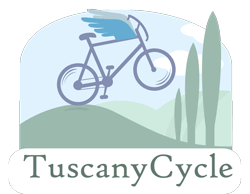 By doing our half-day tour, you get the best of both worlds: a morning spent living like a local in the countryside with Tuscany Cycle while still having your afternoon free to explore the la bella città of Florence. The city is obviously wonderful, but it can be nice to escape to hoards of tourists, if only for a few hours, for a Tuscan getaway. The tour departs by van from Florence and transports you to a private 12th century villa in the Chianti region of Tuscany. 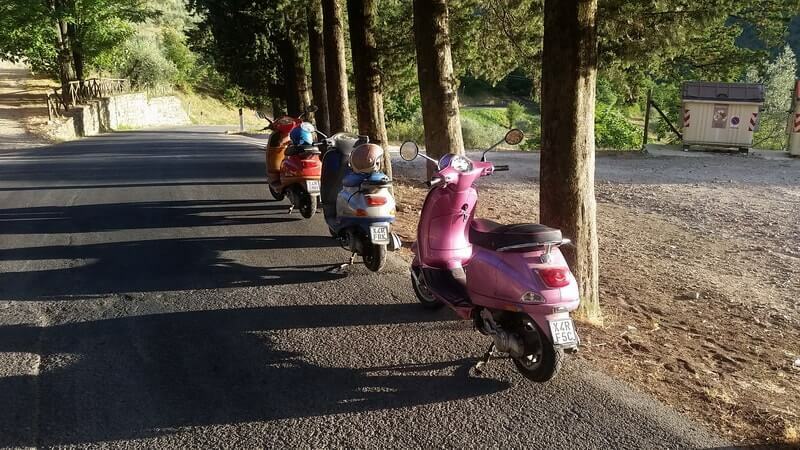 You’ll spend some time learning how to drive a Vespa before heading out on your very own set of wheels to explore the winding countryside roads on an Italian icon, the VESPA! 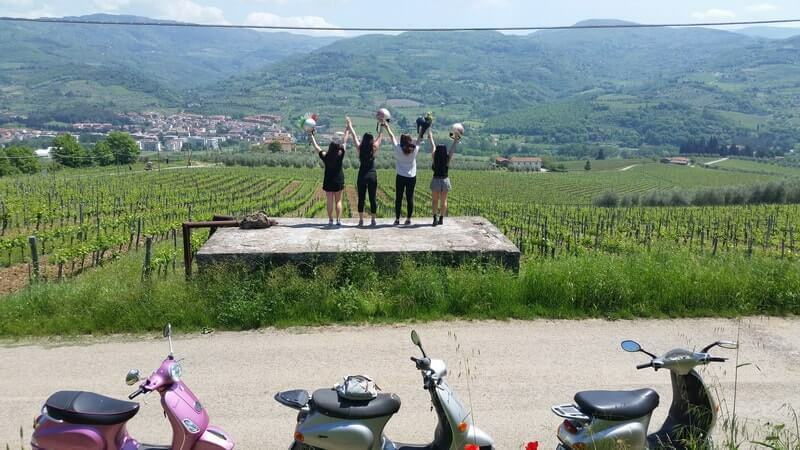 You will be lead by a guide, drive all over Chianti Rufina and of course stop to enjoy the view and take some picturesque photos along the way! 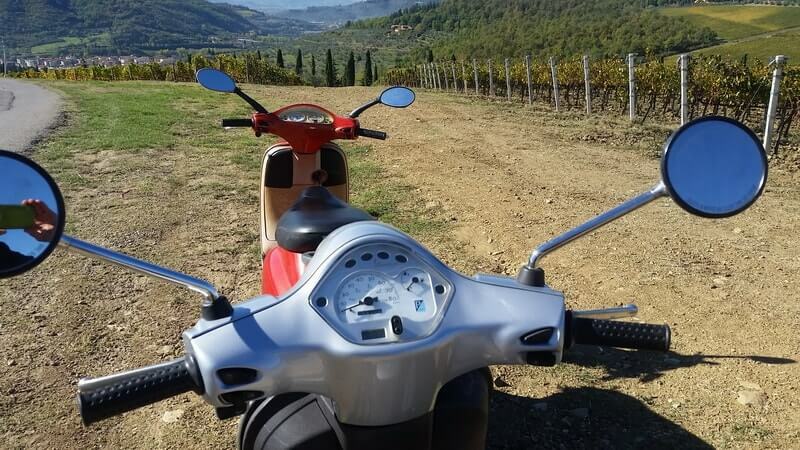 You’ll be able to experience all the beauty that Tuscany has to offer: winding open roads, dreamy olive groves and breathtaking vineyards! 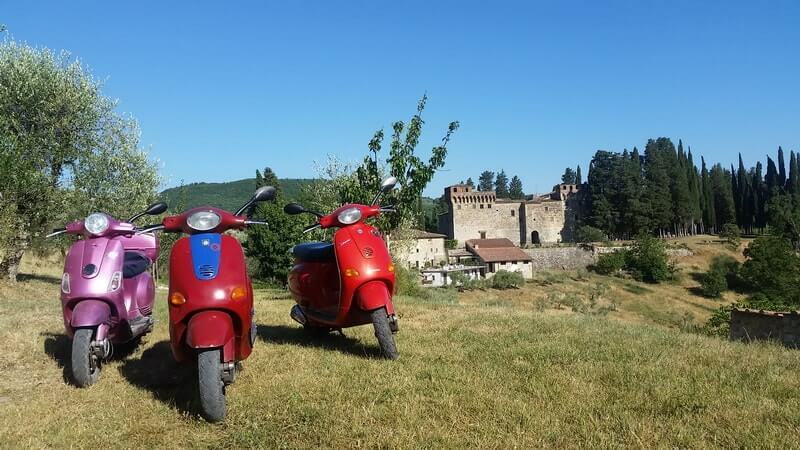 After cruising through the Chianti hillside, you will stop at the castle to sample some of their wines and their olive oil before being transported back to Florence by van. 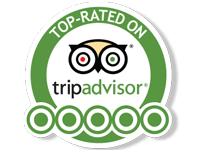 Meanwhile, you will be back to Florence just in time for lunch and will have your entire afternoon free to explore and visit museums. Don’t forget your valid driving license! *You can add the passenger as additional service in the next step. If you are reserving the tour for more than one person please be sure to adjust the quantity before paying. 1. 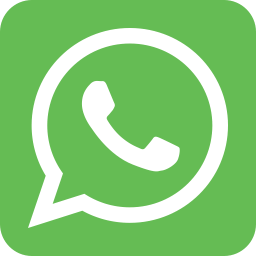 No Show Policy: If you do not show up for your reservation, you automatically forfeit any and all deposits or payments made towards the booking. 2. Rain Policy: In the case of inclement weather, you will receive a full refund of your deposit or payment as long as you show up for the reservation at 10am. If you do not show up to confirm the cancellation you automatically forfeit any and all deposits or payments made towards the booking. 3. Cancellations: All guests can cancel their reservation up to 48 hours before the tour and receive a full refund of the deposit. 4. A deposit of 20% is paid online. The student discount will be taken into account upon payment at the shop on the day of the tour. You must have a valid student ID and be under 25 for the student discount. 5. Minimum 2 people signed up in order to run the tour.